Tejashwi Yadav, Rabri Devi and other accused who were present at the hearing granted bail by Patiala court in IRCTC Scam case. Delhi's Patiala House Court has fixed next hearing on 19th November as the next date of hearing. Lalu Prasad Yadav who was not present during the hearing owing to medical reasons will appear via video conferencing. The court granted interim bail to all the accused present in the court in the IRCTC money laundering case filed by Enforcement Directorate. All accused have to furnish a personal bond of Rs 1 lakh with one like amount surety. During the hearing, the court has seized the passports of both Rabri Devi and Tejashwi Yadav. The Central Bureau of Investigation (CBI) opposed the bail of Rabri Devi, Tejashwi Yadav and others accused at Patiala House Court in IRCTC scam case. CBI said 'regular bail will hamper the case investigation'. 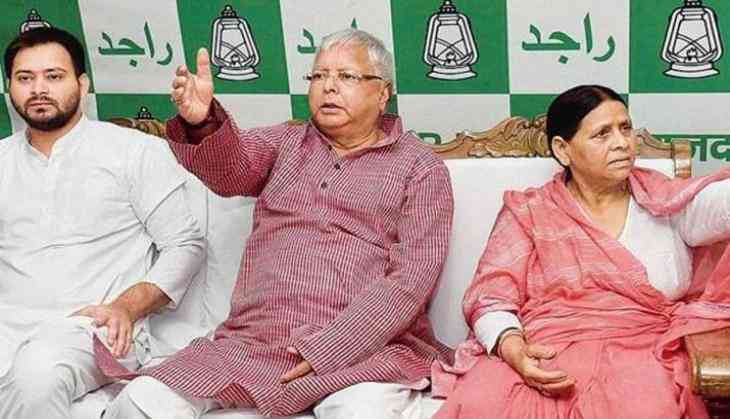 The IRCTC money laundering case was filed by the ED against former Bihar Chief Ministers Lalu and Rabri Devi and their son and former Deputy Chief Minister Tejaswi Yadav in connection with the 2006 IRCTC hotels tender scam.